What could you do in a chilly Monday morning, when the weather outside is pretty bad, and the smell of fresh coffee warms your heart? 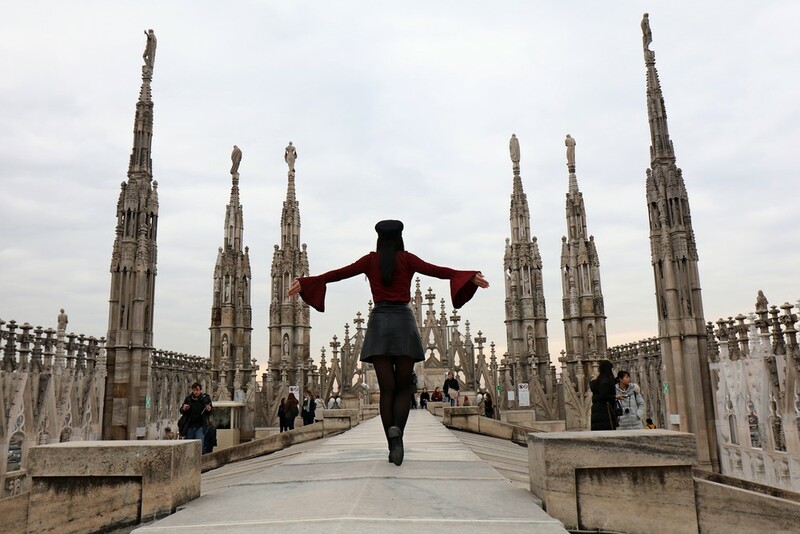 🙂 I usually remember beautiful moments that make me smile a little, and today I have an article for you just like that, with my fun experience on the terraces (or rooftop) of the amazing Duomo in Milan. 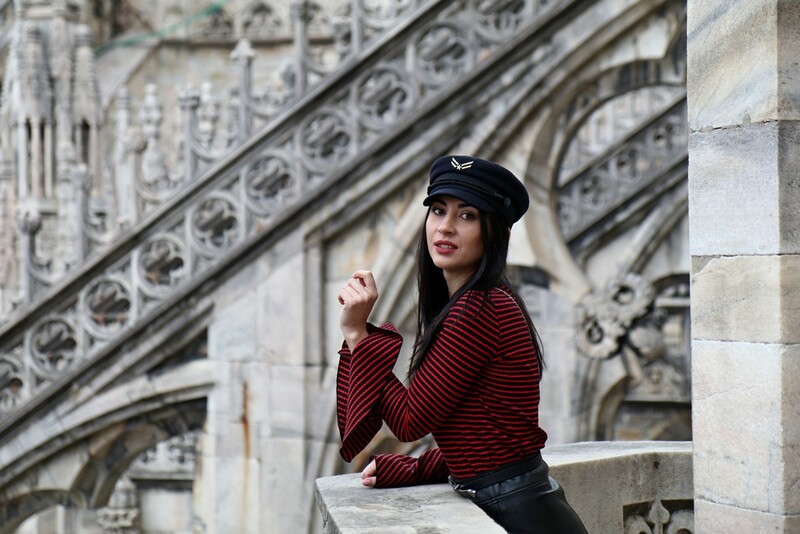 As soon as I saw the terrace I was completely overwhelmed; I felt a wave of emotion that I rarely got to experience, and I was amazed not only by the grandiose structure, but also by the little architectural details, that precision, imagination and ll that marble embroidery, which was created many centuries ago. 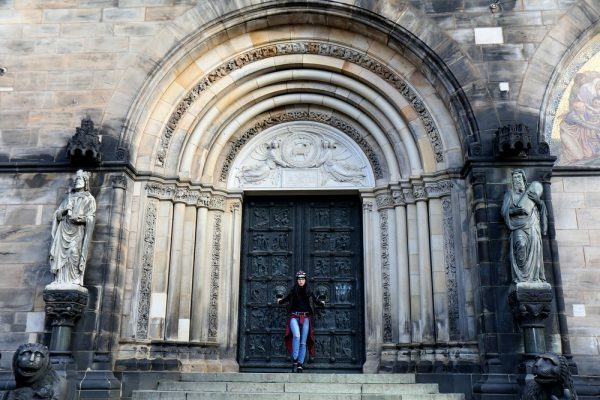 It’s incredible what people managed to do many centuries ago, without any modern tools. The time has passed, sometimes rough, sometimes gentle, but the Duomo is still there in all its glory, and I think its beauty and power of seduction gets even bigger with every year that goes by. I’ve spent more than two hours on this amazing terrace, admiring its beauty getting filled up with history, emotion and a mix of feelings that seem to be a bit difficult to describe. But if you go there, I’m pretty sure you will understand what I’m saying perfectly. 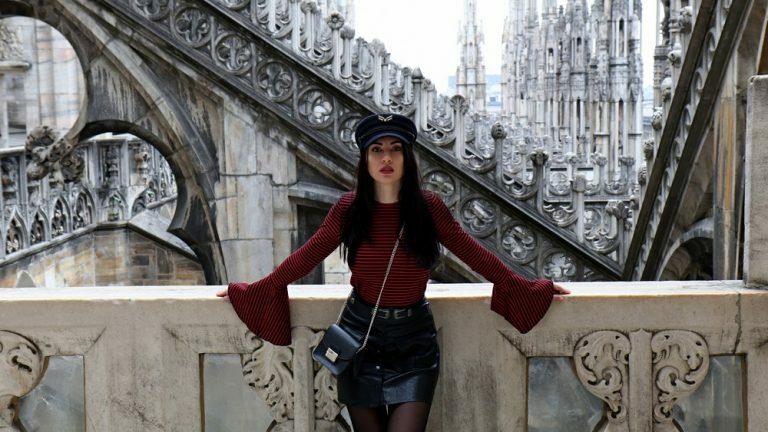 I had to wear a chic outfit for this occasion, because I’ve felt that you can’t visit this architectural jewel dressed in another way, so I’ve opted for a black and red combination, that I totally loved. 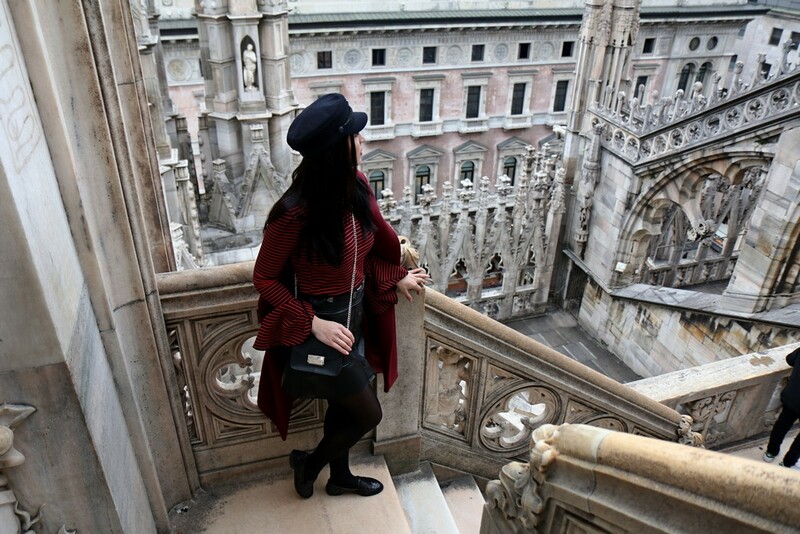 And since the temperatures were pretty chilly, my super coat from Clote.ro was my ally on my way to the top of Milan.